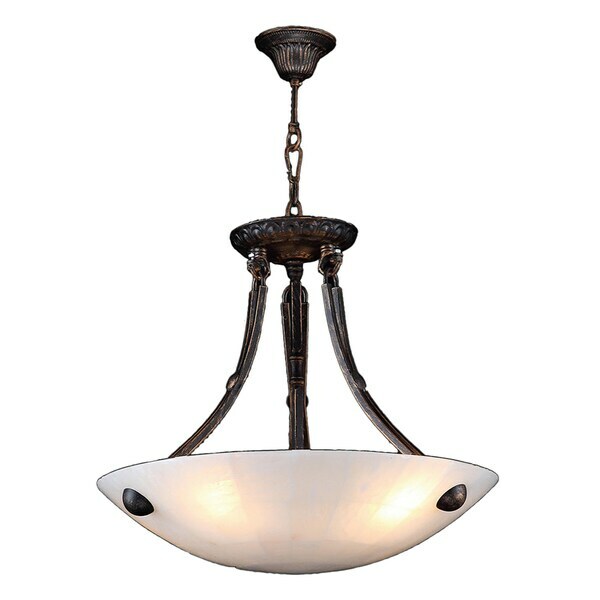 This stunning 4-light Quartz Bowl Pendant only uses the best quality material and workmanship ensuring a beautiful heirloom quality piece. Featuring a handsome Dark Bronze finish and natural quartz stone from Spain, this elegant bowl pendant will liven up any room. The quartz stone used in this fixture is not mass-produced. No synthetic process could replicate the natural beauty of this beautiful quartz pendant. Dimensions 16.0 In. X 16.0 In. X 18.0 In. Why do you think.I thought it was beautiful and would make a great addition to my home.